It's not often we see the sun in London, so when it does appear we like to get as close to it as possible. 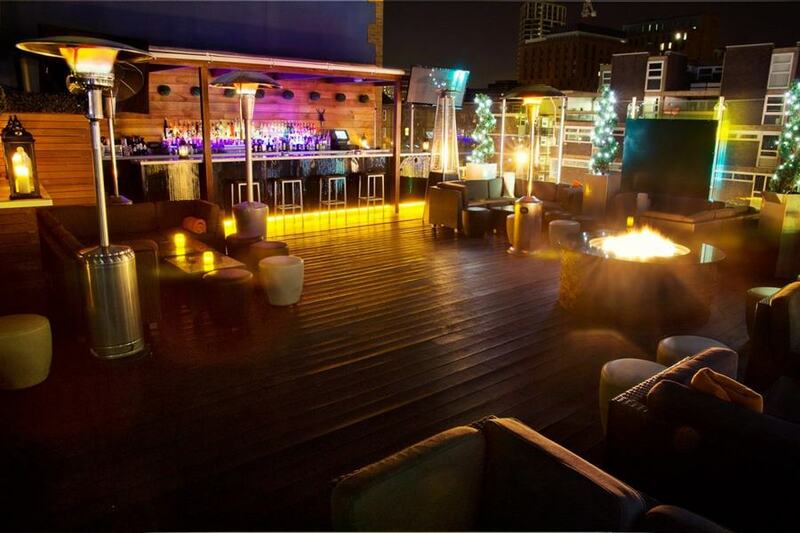 Therefore every summer we make the pilgramage to one of the Capital's rooftop bars. Here James Roche brings you three of the best. 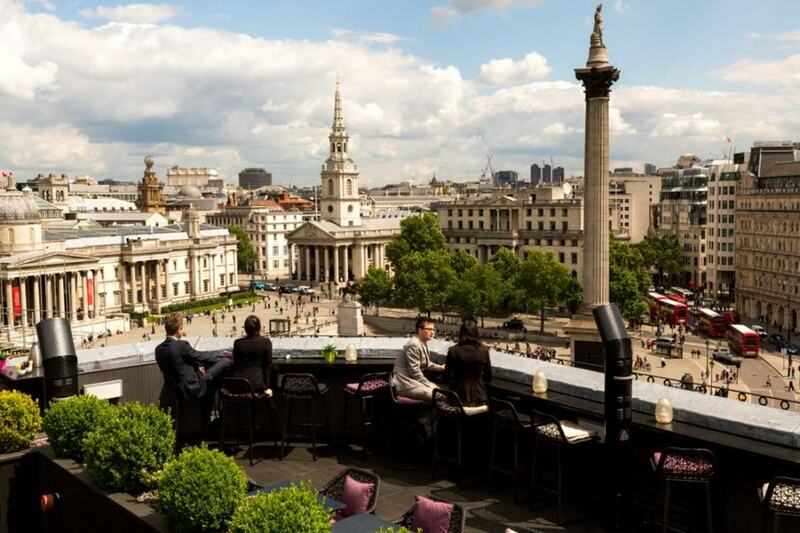 While thousands of tourists compete for the perfect Trafalgar Square photo below you, sit back and sip on a glass of champagne in the afternoon sun at the magnificent rooftop bar: Vista at the Trafalgar. Perched above the exquisite Trafalgar Hotel, Vista is a lofty gem in the heart of the city. If you are looking for an exclusive location for outdoor parties, functions and events or are dropping by for an unforgettable sunset cocktail, this central London venue will satisfy all of your desires. Well, with drink in one hand and pen in the other, you’ve ticked Trafalgar Square off the list, but how about spending a summer evening with friends at Grange St Paul’s rooftop terrace? 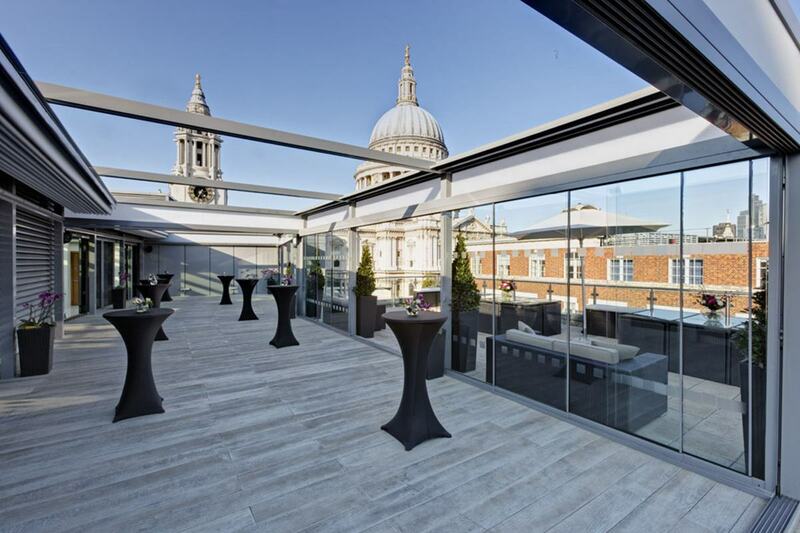 The only thing comparable to the service provided at this exclusive London venue is the magnificent views of St Paul’s Cathedral and the surrounding skyline. Sunshine and barbecues go together like Boris and bikes but don’t worry if you’re not a fan of the London Mayor – Grange St Paul’s rooftop is only available for private hire, meaning you are free to dine on their delicious grill selection with only the closest of friends. If it’s sunny and you’re in East London, it would be criminal not to pop into the glamorous bar and rooftop terrace at Shoreditch’s Golden Bee. The ultimate in style and ice cool sophistication, Golden Bee offers roof-top views over Silicon Roundabout and East London. With its top mixologists and ultra-talented DJs, top party vibe and excellent dance space, Golden Bee is THE place to be seen on the east side. Not that you’d ever accuse this magnificent London venue of being pretentious – with exclusive hire available, the staff will go above and beyond to ensure that you enjoy the ultimate Golden Bee experience. Check out their profile today! Thanks James! A quite celestial understanding of what sits atop us. For more information on our rooftop spaces and summer venues, be sure to visit Hire Space online. See you next time!